Arteriovenous malformation (AVM) of scalp is a relatively rare lesion presenting as a pulsatile growing mass, characterized by subcutaneous arterial and venous fistulous connections without capillary network. AVMs can present with a variety of clinical symptoms including intracranial hemorrhage, seizure, chronic headache, and progressive focal neurologic deficit. These clinical features are correlated with the size of the AVM. Indications of treatment include cosmetic relief of the pulsatile or nonpulsatile mass, prevention of hemorrhage and other symptoms such as headache and tinnitus. The different treatment strategies available for scalp AVM (SAVMs) are surgical excision, ligation, transarterial, transvenous, direct puncture embolization and electrothrombosis. Its treatment may sometimes be difficult for its high blood flow and the possibility of massive bleeding. In this case report, we describe the clinical course of a patient with a large SAVM. A 27-year-old man referred with a soft mass on his right retroauricular and parietal regions from few years ago. He has a history of trauma to his head many years ago. An informed consent was obtained from the patient. On examination, there was a 10 cm × 6 cm pulsatile, soft, compressible mass posterior to the right ear. There was bruit over the mass and powerful pulsation in occipital and superficial temporal arteries of the right side. A small scar was visible in the retroauricular region. Right parieto-occipital scalp mass with normal intracranial content [Figure 1]. Intracranial blood vessels were normal. There was very large tortuous tuft of vessels in the right parietooccipital region with feeders from the right occipital artery, right superficial temporal artery as well as a small feeder from the left side [Figure 2] and [Figure 3]. Normal intracranial content, very high flow vascular anomaly in the right parietooccipital region with a very large feeder, most probably occipital artery, from right external carotid artery. An oblique incision was made along sternocleidomastoid muscle and external carotid artery encountered and occipital and superficial temporal arterial branches ligated. Flow to the vascular anomaly decreased significantly. Then through a right occipitotemporal incision, the very large tortuous vessels exposed and released from the underlying pericranial tissue. The vessels coagulated with bipolar cauterization to decrease flow in them and facilitate their removal [Figure 3]. The feeders in occipital region and convexity ligated and the vascular anomaly excised totally. The patient's complain recovered completely, and computed tomography (CT) angiography revealed the disappearance of the anomaly. Based on a basic concept established by Mulliken and Glowacki in 1982, the International Society for the Study of Vascular Anomalies has established the current classification system: (1) vascular tumor, including various types of hemangioma, and (2) vascular malformations, including capillary malformation, lymphatic malformation, venous malformation, arteriovenous fistula, AVM, and other combined malformations. AVM of scalp is a rare lesion. It represents an abnormal connection between one or more arteries and one or more draining veins without an intervening capillary bed. Most often it is located subcutaneously but may involve the muscles and bony structures. The involved arteries are often enlarged and tortuous and may arise ipsilateral or contralateral to the lesion. Krayenbuhl and Yasargil found extracranial AVMs in 8.1% of 800 of their AVM cases. In a study by Visser et al., 53 (4.7%) out of 1131 cases of vascular anomalies were extracranial AVMs, 32 of which were in the head and neck region (2.8%). In a study for endovascular treatment of head and neck AVMs, 15 (17%) out of 89 cases had scalp lesion. AVM is 20-fold less common in extracerebral sites than in the intracerebral vasculature. Kim et al. from Korea found 161 (10.1%) cases of AVM from 1,606 patients with vascular anomaly referred to their center over a 15-year period. Sixty (37.3%) of total AVMs, 3.7% of total vascular anomalies were in the head and neck regions. Only 1% of these 60 patients had SAVM. In this article, we have reviewed 45 case reports of SAVM.,,,,,,,,,,,,,,,,,,,,,,,,,,,,,,,,,,,,,,,,,,, Overall 178 cases are presented in these papers, 54 (30%) of which had a history of trauma to head. A male to female ratio was 114:64 (1.8:1). The right side scalp vessels were involved in 76 (43%) patients, left side in 62 (35%), right to left ratio of 1.2:1, and midline or bilateral involvement in 20 (11%) of cases. The side of the lesion in 20 (11%) of cases were undetermined. Rapid increase in size during puberty, pregnancy, and menstruation may be due to increased production of a vascular endothelial growth factor leading to neovascularization and growth of these lesions.,, Neogenesis of AVMs might be triggered by the production of angiogenic factors secondary to venous hypertension induced by an obstruction to venous outflow, reduction of perfusion, ischemia, and aberrant angiogenic activity. The feeding arteries are usually those vessels supplying the scalp. In traumatic cases, the superficial temporal artery, due to its long, unprotected course, is frequently involved,, although external carotid artery, occipital and supraorbital arteries are common main arterial feeders.,,,,, The association of SAVM with intracranial ones are rarely reported., Drainage into the intracranial sinuses is also reported,, however, this is not reported in trauma cases. Patients may have a history of the progressive increase in the size of the lesion usually in their third decade of life. The clinical presentations include loud bruit, hemorrhage, throbbing headache, scalp necrosis, pulsation, tinnitus, bleeding tendency, skin erosion, and occasionally cosmetic or functional problems.,,,,,,,,,,, The AVM of the scalp sometimes causes neurologic abnormality. High output cardiac failure can occur with large fistulae. The treatment of this lesion may be difficult for the limited experience with its management, highly complex vascular structure and shunt flow, anatomy and the possible cosmetic complications of surgery. Stage 3: SAVM further develops because of additional supply from pial arteries of the internal carotid artery. Surgical excision is the most common and successful way of the treatment of SAVM. AVM must be completely eliminated because recurrence or enlargement is reported after an incomplete treatment. Recurrence is reported in cases with ligation of superficial temporal artery and multiple coil embolization of the feeders. Reoperation for incomplete excision of the lesion has also reported.,, Recurrence of the lesion has been seen as late as 18 years after complete surgical resection of the malformation. Endovascular treatment has used to either decrease the hemorrhage and facilitate the surgical treatment or directly treat the AVMs. Embolization and endovascular treatment may be insufficient in the treatment of large SAVMs. Surgical excision resulted in an excellent outcome when used for the management of a small SAVM. In the event of scalp necrosis and excessive blood loss, total excision is the treatment of choice. Barnwell et al. reported endovascular treatment of SAVM. This treatment involves coil embolization of the main vessel, followed by injection of embolic agents., Large diffuse lesions represent an enormous treatment challenge and are often impossible to cure. Embolization offers a high treatment success rate of 92.1%, particularly as a palliative and presurgical treatment modality. Complete cure with endovascular means alone is possible for a substantial number of patients (31.5%) and is usually feasible for small lesions. Surgical/interventional collaboration is imperative to the well-being of these patients. The importance of palliative treatment should not be underestimated. SAVM is a rare lesion, which may be seen as a complication of different kinds of head injury. Since, in spite of all preventive measures, the World Health Organization has reported rising incidence of such events in developing countries on the one hand and the diagnostic facilities for the lesion has improved in recent years, on the other hand, the world community may witness increasing number of the reports of this complex lesion. Surgical excision, in spite of all of the developing therapeutic armamentarium, as in this case can be used as a definite treatment strategy. Kim JB, Lee JW, Choi KY, Yang JD, Cho BC, Lee SJ, et al. Clinical Characteristics of Arteriovenous Malformations of the Head and Neck. Dermatologic Surgery 2017:43;526-33. doi: 10.1097/DSS.0000000000000993. Munakomi S, Bhattarai B, Cherian I. Conquering the odds: Cirsoid aneurysm with holocranial feeders-staged embolization, excision and grafting. Asian J Neurosurg. 2015;10:259-61. doi: 10.7759/cureus.215. Lanzino G, Passacantilli E, Lemole GM Jr, McDougall C, Spetzler RF. Scalp arteriovenous malformation draining into the superior sagittal sinus associated with an intracranial arteriovenous malformation: just a coincidence? Case report. Neurosurgery 2003;52:440-3. Senoglu M, Yasim A, Gokce M, Senoglu N. Nontraumatic scalp arteriovenous fistula in an adult. Technical report on an illustrativecase. Surg Neurol 2008;70:194-7. Hendrix LE, Meyer GA, Erickson SJ. Cirsoid aneurysm treatment by percutaneous injection of sodium tetradecyl sulfate. SurgNeurol 1996;46:557-61. Chowdhury FH, Haque MR, Kawsar KA, Sarker MH, MomtazulHaque AF. Surgical management of scalp arterio-venous malformation and scalp venous malformation: an experience of eleven cases, Indian J Plastic Surg 2013;46:98-107. Available from: http://dx.doi.org/10.4103/0970-0358.113723. [Last accessed on 2018 Oct 29]. Raheja A, Satyarthee GD, Sharma BS. Single, small, spontaneous, accessory, closed type, frontal sinus pericranii in a child: favorable outcome with surgical excision. Neurol India 2013;61:680-3. El Shazly AA, Saoud KMF: Results of surgical excision of cirsoid aneurysm of the scalp without preoperative interventions. Asian J Neurosurg. 2012;7:191-6. doi: 10.4103/1793-5482.106651. Kyung ML, EJ Kim, BJ Park, KH Kim. Direct Puncture Embolization of Scalp Arteriovenous Malformation in a Patient with Severe Hemophilia A: A Case Report. J Korean Soc Radiol 2011;65:229-33, doi.org/10.3348/jksr.2011.65.3.229. Yablonicky KJ, Desai S: A Case Report of A Scalp Arteriovenous Malformation After Trauma. The Journal of Emergency Medicine, 2011;5:e117-9. doi:10.1016/j.jemermed.2009.07.039. Fisher-Jeffes ND, Domingo Z, Madden M, de Villiers JC. Arteriovenous Malformations of the Scalp Clinical Study. Neurosurgery 1995;36:656-60. Available from: https://doi.org/10.1227/00006123-199504000-00003. [Last accessed on 2018 Oct 31]. Moon KS, Yoon SM, Shim JJ, Yun IG. Arteriovenous Malformation of the Scalp: Efficacy of Computed Tomography Angiography. J Korean Neurosurg Soc 2005;38:396-8. Sajikumar NR, Mathai JK, Harold D. Successful surgical management of posttraumatic cirsoid aneurysm. Int Surg J 2017;4:1799-1800. DOI: http://dx.doi.org/10.18203/2349-2902.isj20171642. Gupta R, Kayal A. Scalp arteriovenous malformations in young, case report. Journal of Pediatric Neurosciences 2014:9:264-6. DOI:10.4103/1817-1745.147587. Tabuchi S. Surgical resection of scalp arteriovenous malformation: Case illustration, Case Reports in Clinical Medicine 2013;2:3:187-8. Shenoy SN, Raja A. Scalp arteriovenous malformations. Neurology India 2004;52:478-81. Li D, Heiferman DM, Rothstein BD, Syed HR, Shaibani A, Tomita T. Scalp Arteriovenous Malformation (Cirsoid Aneurysm) in Adolescence: Report of 2 Cases and Review of the Literature. World Neurosurg. 2018;116:e1042-6. doi: 10.1016/j.wneu.2018.05.161. Khodadad G. Arteriovenous malformations of the scalp. Ann Surg. 1973;177:79-85. Godwin O, Ayotunde O, Millicent O, Yvonne O: Extracranial Arteriovenous Malformation of The Scalp: Value of Computed Tomographic Angiography. The Internet Journal of Radiology 2006;5:1. Rane SY, Lamba S, Gohil AJ, Gupta AK. Compendium of scalp arteriovenous malformation (AVM) cases—a retrospective study and review. European Journal of Plastic Surgery 2017;41:223-8. Hage ZA, Few JW, Surdell DL, Adel JG. Modern endovascular and aesthetic surgery techniques to treat arteriovenous malformationsof the scalp: Case illustration. Surg Neurol 2008;70:198-203. Barnwell SL, Halbach VV, Dowd CF, Higashida RT, Hieshima GB. Endovascular treatment of scalp arteriovenous fistulas associated with a large varix. Radiology 1989;173:533-9. Nishijima I, Ikemura R, Gushiken M, Miyagi K, Iha K. Nonsurgical treatment of scalp arteriovenousmalformation using a combination of ultrasound-guided thrombin injection andtransarterial coil embolization, Journal of vascular surgery 2012:833-6. Dmytriw AA, terBrugge KG, Krings T, Agid R. Endovascular treatment of head and neck arteriovenous malformations, Neuroradiology: 2014:56:227-36. Wilkinson HA. Recurrence of vascular malformation of the scalp 18 years following excision. Case report. J Neurosurg 1971;34:435-7. Souder DE, Bercaw BL: Arteriovenous fistula secondary to hair transplantation. N Engl J Med 1970:283;473-4. Barros d'Sa, AA, Heard, CE. Arteriovenous fistula after hair transplantation. BMJ 1978:1:340-1. doi:10.1136/bmj.1.6109.340. Lanzieri CF, Sacher M, Som PM, Haimov M: Arteriovenous fistula after hair transplantation. AJNR 1985;6:111-2. Liounakos JI, Urakov T, Snelling B, Peterson EC. Scalp Arteriovenous Fistula following Hair Transplantaton: A Case Report and Review of the Literature. Clin Med Rev Case Rep 2018;5:200. doi.org/10.23937/2378-3656/1410200. Gupta AK, Purkayastha S, Bodhey NK, Kapilamoorthy TR, Krishnamoorthy T, Kesavadas C, et al. Endovascular treatment of scalp cirsoid aneurysm. Neurology India 2008:56;167-72. Gangadharaswamy SB, Nagaraj NM, Pai BS. Surgical management of scalp arteriovenous malformations using a novel surgical technique—Case series. International Journal of Surgery Case Reports 2017;37:250-3. doi.org/10.1016/j.ijscr.2017.06.057. Gupta R, Agrawal A. Arteriovenous malformation of external ear and temporal region: A case report. Int J Res Med Sci. 2015;3:3427-9. http://dx.doi.org/10.18203/2320-6012.ijrms20151205. Tual-Chalot S, Oh SP, Arthur HM. Mouse models of hereditary hemorrhagic telangiectasia: recent advances and future challenges. Front Genet. 2015;6:25. Albuquerque Sousa LH, Maranha Gatto LA, Junior ZD, Koppe GL. Scalp Cirsoid Aneurysm: An Updated Systematic Literature Review And An Illustrative Case Report. World Neurosurg 2018;119:416-27. Available from: https://doi.org/10.1016/j.wneu.2018.08.098. [Last accessed on 2018 Nov 05]. Karsy M, Raheja A, Guan J, Osborn AG, Couldwell WT. Scalp Arteriovenous Malformation with Concomitant, Flow-Dependent Malformation and Aneurysm. World Neurosurgery, 2016;90:708.e5–708.e9. doi:10.1016/j.wneu.2016.03.047. Hasturk AE, Erten F, Ayata T. Giant arteriovenous malformation of the scalp. Asian Journal of Neurosurgery 2012:7:1:39-41. DOI: 10.4103/1793-5482.95698. Worm PV, Ruschel LG, Roxo MR, Camelo R. Rev Assoc Med Bras. 2016;62:828-30. doi: 10.1590/1806-9282.62.09.828. Mohamed WNZW, Abdullah NNL, Muda AS. Scalp arteriovenous malformation: a case report. Malays J Med Sci 2008;15:3:55-7. Gupta P, Gupta N, Chaudhary J, Mishra HK, Verma AP. Cirsoid aneurysm of the scalp. International Medical Journal. 2016;3:729-31. Pukar MM, Patel IS, Mewada SG. Cirsoid aneurysm of scalp occipital region- A case report. Int J Res Health Sci [Internet] 2014;2:698-702. 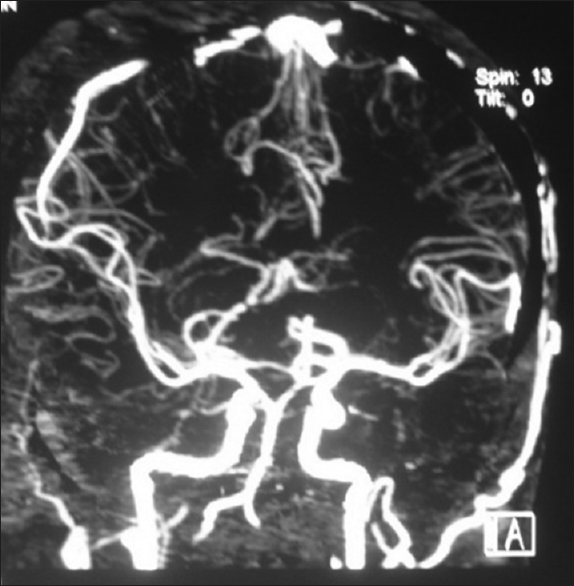 Gupta AK, Iyengar SN, Sharma A. Scalp arteriovenous malformation: A case report with review. Romanian Neurosurgery 2018:32:151-5. DOI: 10.2478/romneu-2018-0018. Jung SH, Yim MB, Lee CY, Song DW, Kim IM, Son EI. Treatment of Scalp Arteriovenous Malformation. J Korean Neurosurg Soc 2005:38:269-72. Corr PD. Cirsoid aneurysm of the scalp. Singapore Med J 2007;48:e268-9. Ki HJ, Lee HK, Hur JW, Lee JW. Post-Traumatic Arteriovenous Fistula of the Scalp. J Korean Neurosurg Soc 2015;58:298-300. DOI: https://doi.org/10.3340/jkns.2015.58.3.298. Amin O, Molina AR, Constantinides J, Greig AV. Excision of a scalp arteriovenous malformation using Thunderbeat™: The safe way forward. J Plastic, Reconstr Aesthet Surg. 2016;69:1572-1574. Available from: https://doi.org/10.1016/j.bjps.2016.06.014. [Last accessed on 2018 Nov 05]. Barhate MV, Vhora SS, Pandey RK. Cirsoid Aneurysm of the Scalp. Indian J Neurosurg 2016;5:129-32. DOI: http://dx.doi.org/10.1055/s-0036-1581974. Global status report on road safety 2015. p. 2-5.